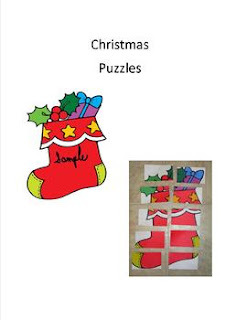 Your students will love these 10 piece puzzles. There are three seperate ones: gingerbread man, stocking and santa. Use business cards to print the puzzles on.